At the end of last year Disney purchased Fox Studios for $52.4 billion. That means Disney now has access to movies such as Avatar, franchises such as the Simpsons, and of course the X-Men and Fantastic Four. 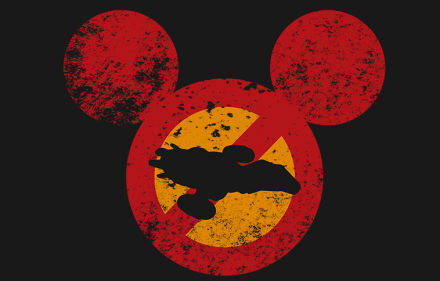 However, some more dedicated fans have also pointed out that this new mega-mouse-monopoly-merger means that Disney now has rights and ownership of the Internet’s darling show, Firefly. This, of course, has led to a myriad of speculation, reddit threads, and wishful thinking that often leads to some version of the question, “What if Disney revived the franchise?” Well, we here at The NYRD can understand why you may think that is a good thing, but we are also here to say, “no it is now.” Firefly is dead and -we’re sorry- but it should stay that way. Now, understand one thing. We are giant Firefly fans. We even enjoyed Serenity. However, that is why we must now decline any revival of the show, especially one helmed by Darth Mickey Mouse. However, what we disagree with is this need to touch and re-touch everything we have done in the past. Just because we can do something, does not mean that we should, especially when big corporations get involved. Not everything we love needs a revival, or a reboot, or a sequel, or a prequel, or a spinoff. Disney is a mega-corporation interested in only one thing, making money. If they were to revive Firefly they would do it in the most commercially exploitative way possible. They would, dumb it down, water it down, and up sell the hype. It is doubtful Joss Whedon will come back. He has been in some hot water lately, and Disney may not want to touch him. Besides, there was something very special about the fourteen episodes of the show we got. Each was a small bit of heaven bequeathed to us by the kinder gods of imagination. They were perfect in their own way, and that is exactly why we need to give up this unending piece-meal crusade to bring them back. Sometimes, the rarity of something increases the value of it in our hearts. Only having fourteen Firefly episodes means that we know them, and love them all. They are a small collection, but highly cherished. Why do we need to ruin what we have? To expand that collection would be to invite the bad as well as the good. And, let’s face it. More Firefly episodes almost assuredly means poor quality episodes. Do not forget that the show originally aired in 2002, sixteen years ago. The cast -though spry and amazing people- have all aged. The concepts have become warm and rosy nostalgia in the minds of fans. Sixteen years of speculation, fan-fiction, and endless discussions have taken place. Nothing that gets produced today will ever match up with the hype and expectation that has been built up over this past decade and a half. Anything that Disney or Whedon produces now will only fall short of what we expect, or what we want, or what we have irrationally hoped to receive. This is Phantom Menace Syndrome in overdrive, and it would surely mean, even worse fate than cancellation for Firefly -a slow commercialized mediocre death- and a tainting of the rosy-remembered episodes we already have to cherish. If you need any proof that that is exactly what will happen, you only need to gaze a long time ago, in a galaxy far far away. Disney has already taken a beloved space franchise and exploited it for all it was worth. They ignored the advice of its creator, ignored the franchise’s former die-hard fans, had no proper plans to make quality movies, and instead treated it like a license to print money and exploit fans and children alike. Obviously, we are talking about Star Wars and we are not saying that all of the new stuff is bad, but let’s face it… it’s not great either. Disney will release one Star Wars movie every year until the universe suffers from heat death. That means, those three amazing, awesome, unforgettable movies that got made between 1977 and 1983, are now only three movies amidst an ever expanding library of sub-par movies and kid shows. They are no longer special. Instead they were merely a good pilot to a never ending feature-length annual TV show. Your children and your children’s children will probably not even remember them. Instead, they will grow up liking Episode IXX, The Real Last Jedi, We Swear, or they will have more fond memories of The Young Yoda Adventures. The original trilogy will just become some dusty old movies that their grandparents enjoy. -C’mon, those graphics are lame. There isn’t even any CGI in them- Now, maybe that is not inherently bad in-itself, but it is a little sad. The original Star Wars trilogy united people across generations. Now it is all about the original trilogy versus JJ Abrams, versus whatever-the-hell Clone Wars is. Even some of the Clone Wars cartoons are confusingly considered canon and non-canon. Meanwhile Disney sells toys and merchandise and games and everything. Then, when it all stops being profitable they can just start again. Reboot it or reuse it, or just plain tear it down. Disney’s revival of Star Wars means that it is completely at the mercy of Disney’s bottom line, and that is terrifying. Whatever your thoughts of The Last Jedi, or The Force Awakens, or even Rogue One, you know that there is something off about them, a plot mistake that you force yourself to overlook; an uncomfortable presentation of your favorite character or event; or even just a minor nagging detail that you choose to forget or use as a justification as why you hated the movie. The truth is that the Original Star Wars Trilogy, was not perfect either. You remember it as being so, because you saw them as a kid, or you haven’t sat down and watched them in a few years, or you just have them so memorized by heart that it is hard to breakaway form what they are to speculate about what they could have been. Whatever the reason, all we have to say is “Ewoks.” Realistically, they are horrible ideas, but we give the original trilogy a pass, because it is a classic. New Star Wars movies, however, are not classics. In fact, they have an impossible standard to live up to and we hold them to it. It is a standard we do not even hold the Return of the Jedi to. And so we find ourselves in a love-hate relationship with Star Wars now. We go to see the movies, but we are secretly disappointed by them, and half of us defend them, while the other half try to tear them down. This would be the fate of any Firefly revival. Don’t give into that temptation. A Firefly reboot would be infuriating, but a Firefly revival would just be disappointing. Not because the cast is not awesome, or because the concept is any less fun, but because it could not keep up the quality or with the expectation of fans. In the end, it will just split the nerd community along generational lines, and show the cracks in our fandom. it would be a sure fire way to ruin something perfect in our lives, something that we hold dear, like the memory of a long gone pet, or that sweet small kiss we received from Becky Stanholme right before her parents moved her away to Canada. It was only a brief moment, but sometimes that is enough. Why do we have to touch everything. Why must we continually dip into the well of nostalgia. The water may seem inviting, but ultimately it is poisoned. Now the disease may be slow-moving, but it will eventually spell the doom of all it touches. It creeps into our systems and corrupts us and our most beloved memories. So, dear Disney, if you are reading this. Do not revive Firefly. Let us keep our memories pure and unfettered, just this once.